The game of Chuck-a-luck is an old favorite played in early Nevada and California mining camps in several variations that most likely came from the English game of Hazard. Although Hazard uses two dice, Chuck-a-luck employs three, much like Sic-Bo. 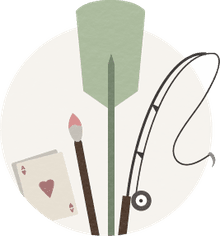 Learning how to play Chuck-a-luck at your local casino is easy, finding the game is tough because there are not many casinos that still offer the dice game. Chuck-a-luck is a relatively simple game played with an hourglass-shaped cage. 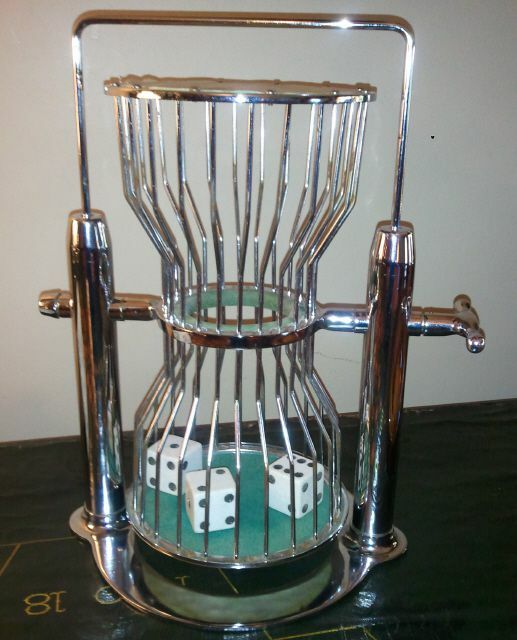 Unlike craps, where two dice are used, chuck-a-luck is played with three large dice. The metal cage used is usually about 18-inches high. The cage (sometimes called a birdcage) is turned so the dice fall from one side to the other. The base of each side is large enough for each of the three, six-sided dice to lay flat and be totaled up. Bets are made before the spin of the cage, and winning bets paid after the dice total. The betting layout is also very simple. Players choose from five different types of bets at the Chuck-a-luck table. Wagers are made by placing chips (or cash, if it is accepted) inside the boxed numbers shown on the layout, depending on what players believe the dice will total on the next spin of the cage. The largest wager boxes on the layout respond to the single numbers that can be made. You may bet on a single number (1, 2, 3, 4, 5, 6) and be paid even-money for each die that comes up on the number you chose. If you bet on the number "3" and one die has a "3", you are paid 1 to 1. If two dice come up with a "3", you are paid 2 to 1. If all three dice come up with a "3" you are paid 3 to 1.The house edge on a number bet is 7.87 percent. A wager on the field is a bet that the total of all three dice will be between 3 and 7 or 13 and 18. This bet pays even-money, or 1 to 1. If the total of the dice is between 8 and 12, you lose. It's that simple! The house edge on a field bet is 15.74 percent. A wager on "high" is a bet that the total of the three dice will be over 10. This bet pays even-money, or 1 to 1. If the total of the dice is less than 11, you lose. You also lose if all three dice are the same - a three of a kind. The house edge on a high bet is 2.86 percent. A wager on "low" is a bet that the total of the three dice will be under 11. This bet pays even-money, or 1 to 1. If the total of the dice is over 10, you lose. You also lose if all three dice are the same - a three of a kind. The house edge on a high bet is 2.86 percent. A wager on Any triple is a bet that all three dice will be the same. This bet pays 30 to 1. The house edge on an Any triple bet is 13.9 percent. This house edge is the likely reason Chuck-a-luck isn't found in many casinos, as players have gotten used to more player-friendly odds. On the other hand, the game was very popular in its day, and the Any triple wager actually has a smaller house edge than Any seven at a standard craps game! In fact, several craps table horn bets are a bit stingy. Raising the payoff on the Chuck-a-luck Any triple to 31-1 or 32-1 would make the game's overall appeal better and you might find it once again at casinos. Hmmm.